2012 marks the centenary of Anna Pavlova making Ivy House in London, her home. Pavlova lived at Ivy House from 1912 until her death in 1931, and it is in this setting with the surrounds of Hampstead Heath at her doorstep, that we remember some of her most enduring photographic images. According to the London Jewish Cultural Centre “she created a lively cultural haven here, away from the bustle of city life … rehearsing in her specially designed studio, training young dancers, landscaping the gardens and entertaining the most famous artistes of the day at her extraordinary soirees and garden parties”. 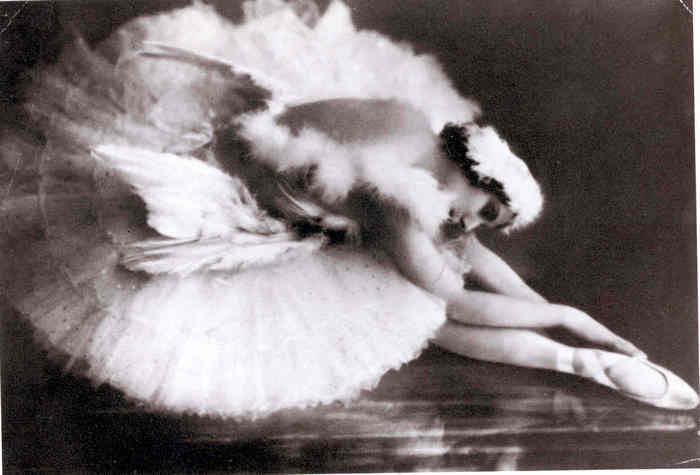 It is this centenary that was the inspiration for a Russian Ballet Icons Gala dedicated to the spirit of Pavlova. Ballet Gala’s can be tricky to put together, too much bravura and they look cheap, too many risky pieces and they can fall flat. Most are ultimately unsatisfying – this one providing just a taste of a smorgasbord offering of current ballet stars. A taste however, is better than nothing and the audience were most grateful for it. Alina Somova partnered by an earth-bound David Makhateli, invited us into the hauntings of Act 2 Giselle. Somova approached the choreography with respect. Her lovely forever arms and lithe upper body compensate for her more gymnastic lower half. Alina Cojocaru partnered by Alexandre Riabko superbly displayed the fruits of her recent creative partnership with choreographer John Neumeier in La Dame aux Camelias. An artist at the peak of her profession, she is quite simply to be admired. Svetlana Zakharova and Andrey Merkuriev offered up a welcome change of pace with a Nacho Duato piece Cor Perdut. Zakharova was impressibly beautiful and fluid in this piece and quite outdanced Merkuriev. Tamara Rojo and Sergei Polunin put on a spectacular and bravura Raymonda Pas de Deux. A supremely confident Rojo whipped off impressive double fouettes and held steely strong balances with flair. Polunin was equally supreme and it’s wonderful to watch his effect on the audience – gasping and transfixed. He is a class act, and there is so much more he most certainly has to offer, but which won’t come to fruition by being a show pony at one-off Gala’s. I do believe his heart is in his performances, that the stage is his home. Watching him is bittersweet. Irina Dvorovenko and husband Maxim Beloserkovsky performed a car crash of a pas de deux by Jessica Lang. Choreographed around a long and oversized skirt, a more frustrating piece I can’t remember – unfortunately the vision did not practically translate. Elsewhere, Lucia Lacarra and Marlon Dino were beautiful in Roland Petit’s La Prisonniere and Daria Klimentova and Vadim Muntagirov were familiarly charming in the Manon pas de deux. And to Ulyana Lopatkina, the words ‘class’ and ‘elegance’ fall short. We were in the presence of a unique creature. The definitive Swan of her generation, it is unforgivable that she did not dance Pavlova’s signature piece, The Dying Swan. Alas, we were denied the indulgence.